As part of the Encores! series at City Center, I saw Call Me Madam, a revival of the 1950 musical that starred the incomparable Ethel Merman. In the original stage production the young attaché’s part was played by Russell Nype. The show’s music and lyrics were by Irving Berlin; George Abbott directed. This Encores! version has terrific choreography, great costumes that neatly summoned the 50s with ball gowns and fluffy skirts and, of course, that wonderful score with numbers like The Best Thing for you Would be Me, It’s a Lovely Day Today and even They Like Ike performed with panache by Adam Heller, Stanley Wayne Mathis and Brad Oscar, as two Representatives and a Congressman. There’s also a number set at the faux Mittle European “Lichtenstein” town fair complete with guys in lederhosen, girls in pseudo dirndls and ocarina music that’s a hoot. 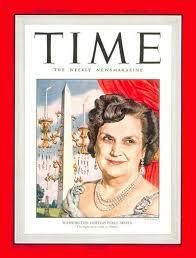 What the production lacks is Merman or a performer of her ilk like Tyne Dailey who handled the role in another revival. In this version, the lead is Carmen Cusack who looks great but can’t come close to matching Merman’s chops. The performance was fun but Merman’s oversize personality and great song styling gave the original a lot of pizzazz that’s missing. Mix it all together, trying not to wince, and shape into a ball. I vaguely recall rolling it in chopped nuts. 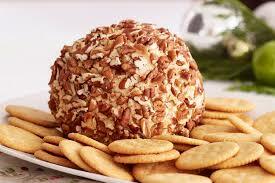 Serve with Ritz crackers and a lot of alcohol (Did we drink wine then? I recall Scotch.) In fairness, the salmon ball tasted pretty good but what did I know? Agree totally! The rest of the cast was terrific and we have liked Carmen in other perfs (Bright Star). Thx for the recipe- not sure we are going to make that but my mom had similar appetizers rolled in ritz crackers!!! To be fair, I still like Ritz Crackers. Not on currently approved list but so what? Your comment showed up. 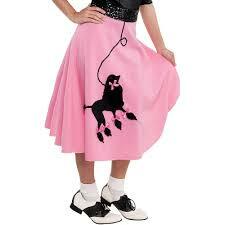 I had an actual poodle skirt. Loved it. 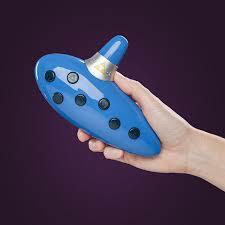 Never had an ocarina though. Love your adventures and your reminiscences. I’m not sure I want to replace the Merman sound in my head with any other…. and scotch is still my drink of choice!